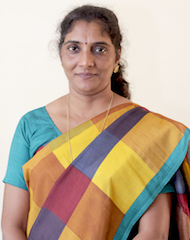 An educator, mentor and teacher Mrs Jayshri Nair is an administrator comprising solid working experience of 27 years in several organizations of repute with strong ability to communicate clearly and concisely both in English & Hindi. Graduated from Regional College of Education, Bhopal possessing Masters degree in English, Economics, Education and Business Administration. Capacity in didactics and English grammar areas. Dynamic and creative teacher, committed with the learning and the students' progress, who searches to motivate human values and to develop basic abilities like working in group and the making of decisions. Mrs Nair is a goal- oriented individual with strong leadership capabilities, organized, highly motivated, and a problem solver. She is very passionate towards her work, likes being responsible, to collaborate and make a good team. Throughout her career, Mrs. Nair as a professional has displayed a great level of perseverance and patience with a higher sense of responsibility and positive attitude. 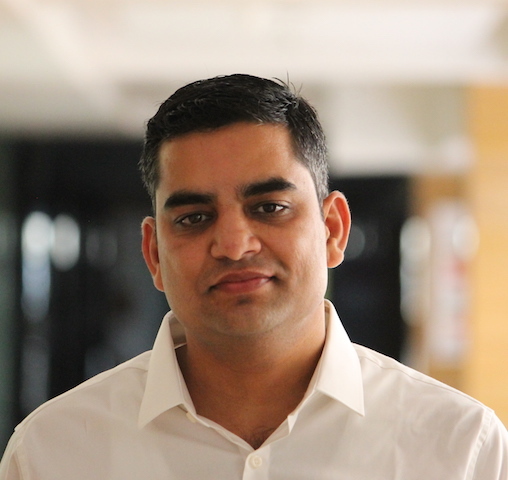 An educationist who is focused, effective communicator with excellent team building & management skills. What drives Mrs. Nair is her ability to work in a competitive environment; wherein she looks to synergize her knowledge and skills to achieve prolific upshots, progress in the tasks assigned. It’s truly said, “Everything once a helpless body, every oak once a corn, every mighty ocean once a ripple and every great structure once a blueprint. It’s not where we are today, but where we are going that counts”. Being very passionate and delivered to our work, we like being responsible, to collaborate and make a good team, we also believe the parent is also a part of the team working to further aspiration of a student. Our endeavour at Brighton is to equip our students with the best in the world, to the best of our capabilities. We consider our job done, only when our parents consider Brighton as a halo safely enveloping theirs and their child’s dream. A leader, motivator and an excellent teacher with specialization in Mathematics, Science and English Language with more than 13 years of Experience as a teacher, Academic Coordinator and Vice-Principal. With ‘never stop learning’ outlook, Mrs. Sethi has recently achieved a Master’s degree in Educational Psychology as a University Topper. She always carries a positive attitude towards her work and faces challenges thrown to her with confidence and great presence of mind. She is gifted with a problem solving approach and has the power of leading her team through difficult situations. She is disciplined, hardworking and dedicated towards her work. For her “Work is worship”. She has impeccable communication skills and great potential to grow herself and the organization in which she works. Brighton International School is the next home for your child and we constantly thrive to make it more comfortable, safe, full of life and more beautiful. We also believe that your ward is our child and we are concerned about his overall development and well being. We ensure that child grows up as a balanced individual and turns out to be good and responsible citizen of this nation. Our school strongly believes that development is a constant process and it is succeeded by one step after the other. Our motive is to create a bright nation which can be achieved only if we light up these little stars so that they may turn into moon. The strength of a school lies in its faculty. I am fortunate to work with extremely dynamic team of teachers who work effortlessly for overall development of a child by setting high academic and co-curricular goals. A regular interaction between parents and school ensures right path for achievement of the desired goals set for our students. I thank all the parents for their unconditional support and welcome them for their invaluable suggestions or queries. A hard working educator having vast experience in teaching at school and at college level, Mrs Sharma is a life-long learner with degrees like B.Ed, M.Ed, M.Phil (Education), M.A in English and Educational Psychology. Being the Headmistress of the school, she ensures to uphold and impart the learning by doing to the Early years students. Through her ingenuity, she consistently strives to raise the standard of teaching at Brighton. 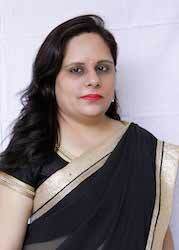 A thorough affable personality, she believes a good teacher can create all the difference in the foundation years. An advocate of experiential learning, she always looks forward in making the environment conducive for the holistic development of the students. An inspiring personality as she has set a great milestone for the fellow teachers by receiving the Blaze Award (Best Teacher Award) for two consecutive years i.e. 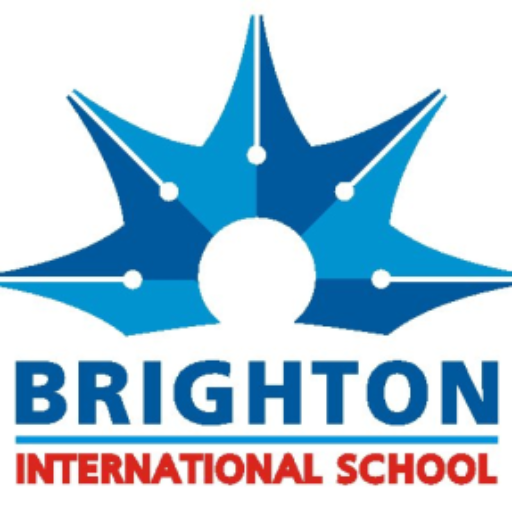 2016-2017 and 2017-2018 at Brighton International School. The atmosphere at the school is positive and polite, as our value based pastoral system emphasis the importance of respect and kindness towards others. The perfect blend of academics and activities make our students self sufficient and ready for diverse society. Our curriculum is taught by inspiring teaching staff who works hard individually and collectively to ensure that students fully achieve their potential whilst they are with us. Welcome to our exciting Pre - Primary and Primary wing and gain the experience of learning at Brighton International School. You will be amazed at the amount of learning will take place. Education is the most important aspect of a human’s life, especially school is the place where the true DNA of the person’s personality takes shape. 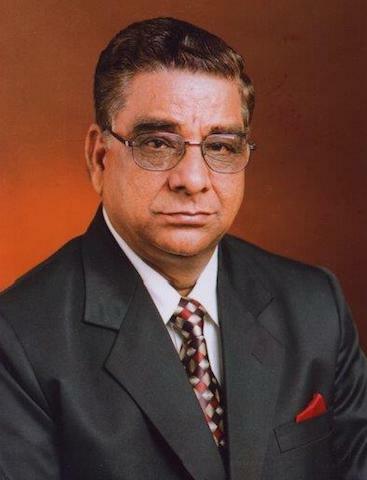 Parent shares this huge responsibility of educating their child with the school, it is school’s fundamental duty to do justice to the trust, time and the money provided by the parent. At Brighton we try everyday to include the best practices from around the world and also strive to make this place improve every day. We believe in making Brighton an extremely open, frank and student centric environment by taking due care of each and every child. I hope we continue doing things differently and make our students and parents proud of their school. A visionary involved with education since 1991, he has travelled a long way making his name synonymous with quality education. Over the past years, he has been involved in setting up several educational institutions across cities in Chattisgarh and Madhya Pradesh. Through his tireless determination, sublime vision and sheer will, he has scripted glorious chapters in the academic arena. Known in circles as someone who values commitment to the cause, he has had a spotless track record in the field of education. At Brighton, we see lifelong learning as a goal for all and learning should be about passion and ambition with quality at its very heart. Our aim would be to provide each of our students with the opportunity to fulfill their ambitions, dreams and goals and recognize their small or big achievements. We seek to unlock the budding talent by providing a thriving, dynamic, supportive and challenging environment. We seek to help build responsible citizens and actively promote community responsibility, we are members of local, regional, national and global communities and we seek to engender amongst learners a sense of tolerance, understanding and integrity. We seek partners in our parents, where we shall commit to work together to build good relationships within and beyond the school gates. Let’s join hands to make learning enjoyable and rewarding for our tomorrow’s citizens.